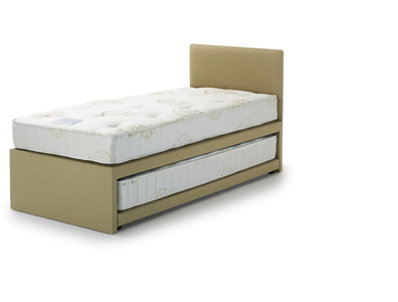 This new guest bed from Hypnos offers a good comfortable sleep. 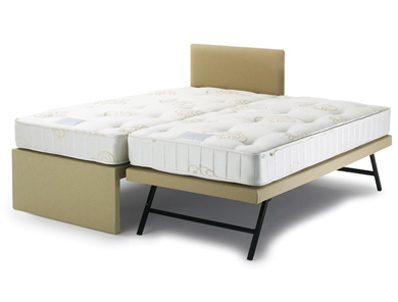 Both the mattresses are made with a 1000 pocketed spring unit, with is approx 560 springs in top mattress and 544 in the bottom. These mattresses can be zipped up to make either a king or super king size bed. The top base will be 193cm long and the under-bed is 185cm long so that it can fit underneath. When the under-bed is pulled out and the legs put in position it will be the same height as the top bed. 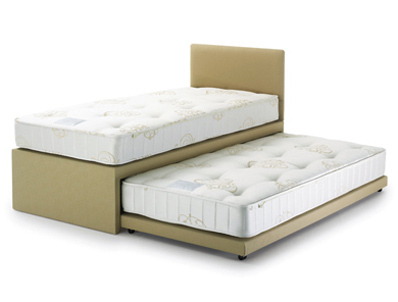 When the mattresses are zipped together the bottom will be slightly shorter than the top. 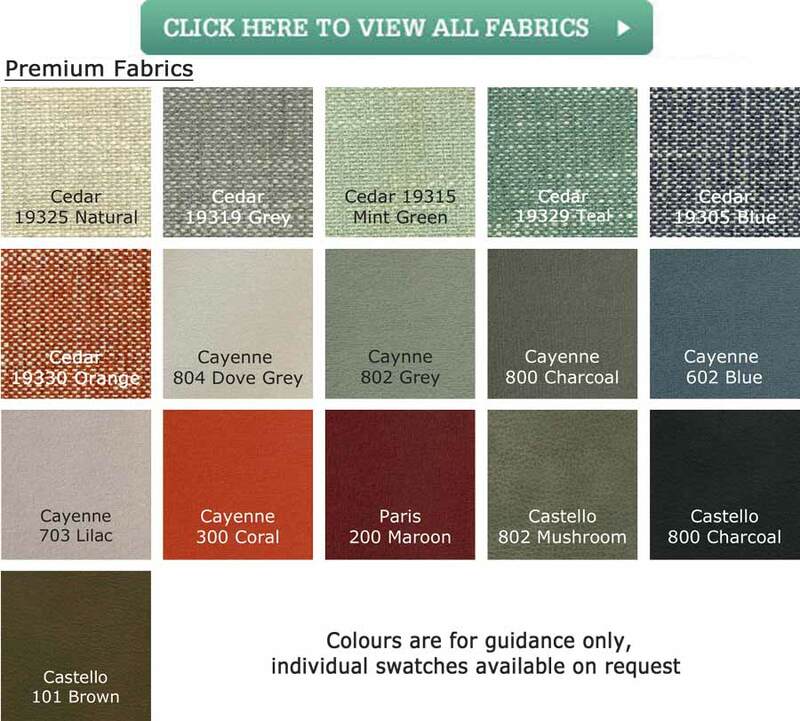 The base is a padded top base and comes in a plain tan fabric (as picture) or in a wide range of other fabrics. 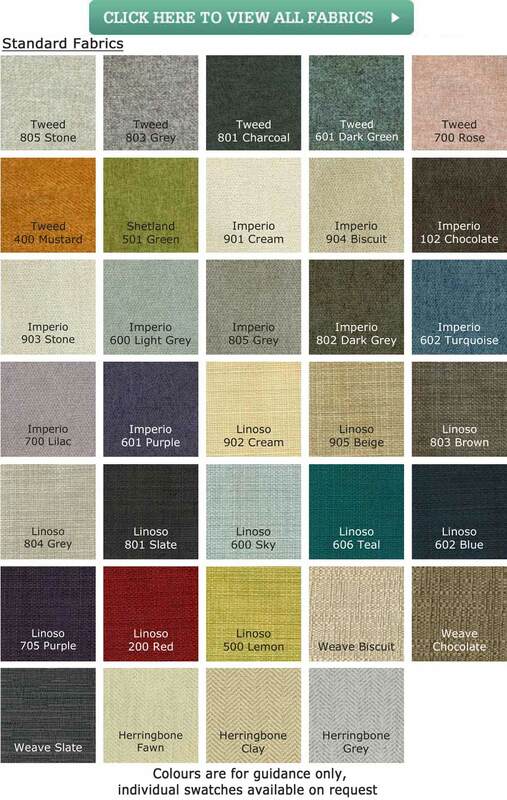 All Hypnos beds now come with a 10 year guarantee. The headboard pictured is available Small single at £130 and Single at £150.